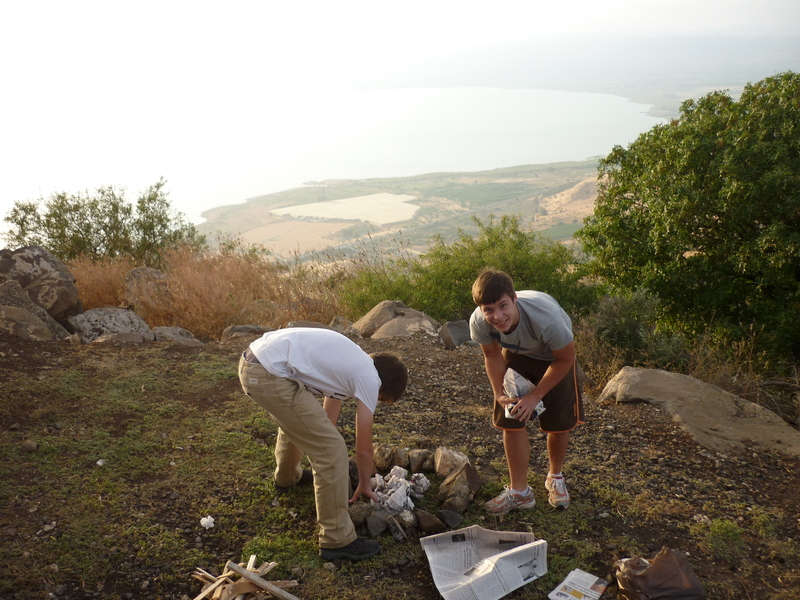 Sometimes known as Lake Tiberias, Lake Kinneret, but its probably best known to most people as the Sea of Galilee. After some driving around and exploring on foot on some picnic sites over looking the lake, we eventually settled on this one. This would be wonderful enough if this was just a regular national park, but – this is Jesus’s backyard, a lake that was the place for many miracles, feeding the 5,000, turning water into wine, putting the demon from a man into the herd of swine (who fell to their deaths) finding many fish in the lake when the fisherman’s earlier efforts in the day yielded nothing. The place we pitched on a picnic site was nothing short of spectacular. The lake is about 13 by 8 miles long. 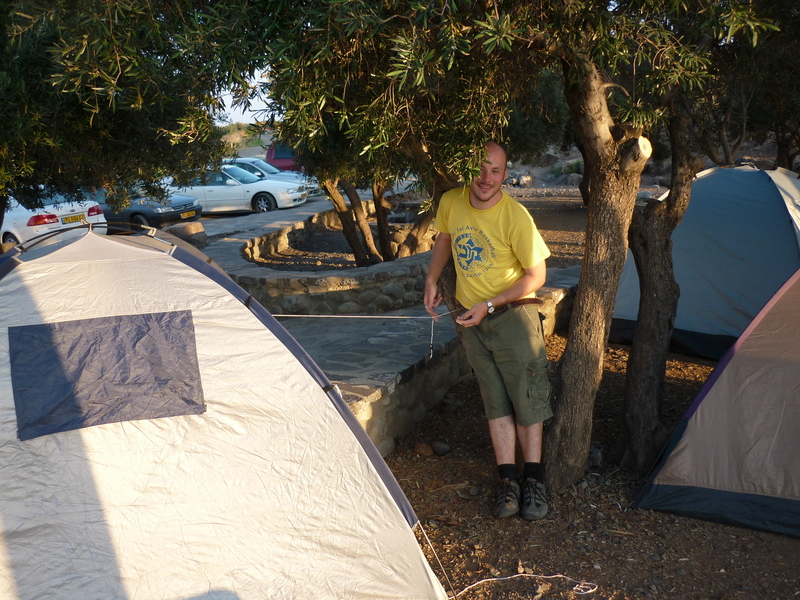 top: As the ground is very hard and difficult to get pegs in without a hammer, I opted to mix bodging and camping and tie my tent ropes to this tree which had branches in the right place. lower: the Lance boys are well used to making a good fire.